With Cash for Cars Adelaide, your car is bought for cash up to $9,999, and wrecked for free. Contact us for a quote. Fill out our "Get a Quote" form at the top right of this page. We are your wrecked, accident, damaged, and old car buyer with a policy to buy any make & condition of cars. You won’t wait days to have your car wrecked and then possibly be disappointed in the cash price we offer for the car. Nor, will the price of the car be cut into with a hefty wrecking fee. We are wrecked, damaged, old, and accident car buyers that pay cash upfront for cars we buy to wreck. When we buy your old Toyota, wrecked Nissan, damaged Subaru, or accident Honda, we pay you cash on the spot. Cash up to $9,999. 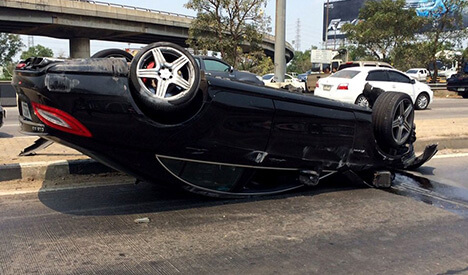 When having a car wrecked, there are a few things to look for in the wrecker. Firstly, whether they are equipped to wreck cars. Wrecking cars is a profession, and the wrecker should be fully equipped with a facility and the proper tools. Secondly, do they leave the car on an open plot allowing it to contaminate the environment once a few parts are pulled? Professional car wreckers will pull the parts and then recycle the remainder of the car, offering an eco-friendly disposal. This process of wrecking & recycling also puts the best cash value in the hands of wrecked, damaged, old, and accident car owners. With Cash for Cars Adelaide, we pay cash to wreck & recycle cars, paying our customers upfront cash payments. We quote prices over the phone and online. 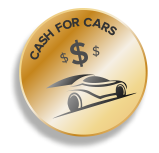 At Cash for Cars Adelaide, we provide our customers with free Adelaide, SA car removals. We are a car buyer & wrecker that comes to the locations of our customers to buy and remove cars. When we remove cars, the service is provided as a courtesy to our customers located in Adelaide, SA, and the removals are scheduled at times convenient for our customers. To get a free removal, quotes for the cars to be removed must be accepted. When you choose Cash for Cars Adeelaide, you have a Scrap Car Removal company that is a reputable source to sell cars. We buy wrecked, damaged, accident, and old cars, trucks, vans, SUVs, 4x4s, and buses, and wreck & recycle them for free. We are a car removal company & wrecker in one that runs efficiently due to our wonderful crew of auto professionals. We are a team of knowledgeable appraisers, wreckers, recyclers, and technicians that love buying, wrecking, and recycling cars. When we are your choice in a wrecked, damaged, old, or accident car buyer & wrecker, you have one that will accurately value your car and pay you cash on the spot. Quotes are provided by Wreckers Near me Adelaide by calling the number below. Our appraiser also provides quick quotes on cars of every make and condition through our "Get a Quote" form at the top right of this page. For more information or a quick quote, contact us! We guarantee a quote up to $9,999 cash for your car for sale.